It is quite possible to lose important data files on your iOS device, just like Amy's iPhone 8 note deletion. Aside from that, other scenarios can also bring notes data loss disasters to you, including factory reset, jailbreak, system crash, virus attack, device stuck, upgrade failure, etc. Whatever the reason you lost notes on iPhone 8, you can refer to following methods to get them back. In order to scan and analyze your deleted notes from iPhone 8 at super-fast speed without damaging, overwriting and losing existing data, you ought to turn to a professional iPhone data recovery for help, such as Joyoshare iPhone Data Recovery. It is an in-demand tool used to retrieve more than 20 iOS data types from iDevice, iTunes and iCloud backups, including notes, photos, iMessages, videos, reminders, contacts, call history, Safari bookmarks and so on. Additionally, this versatile iOS data recovery software is comprehensively compatible with the latest iOS 12 version and at the same time supports a series of iDevice models, for instance, iPhone XS/XS Max/XR/X/8, etc. 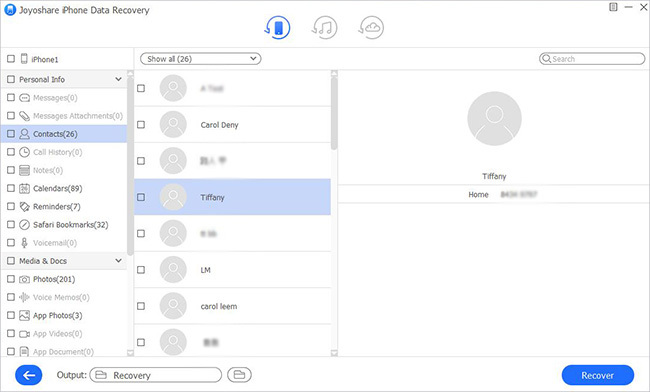 There are also more appealing features you can benefit from, like previewing videos, audios and photos in real time singly, restoring chosen items with high success rate selectively, converting HEIC to JPG, exporting files to HTML or CSV, changing data storage location, etc. 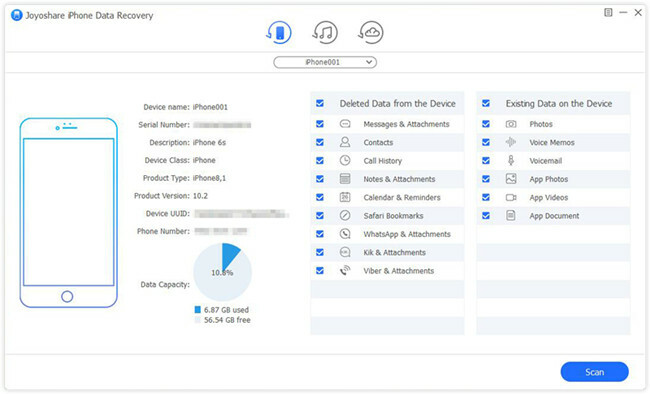 Here we are going to take Joyoshare iPhone Data Recovery Windows version as an example to teach you how to find your deleted iPhone 8 notes without backup. Download and install Joyoshare iPhone Data Recovery. 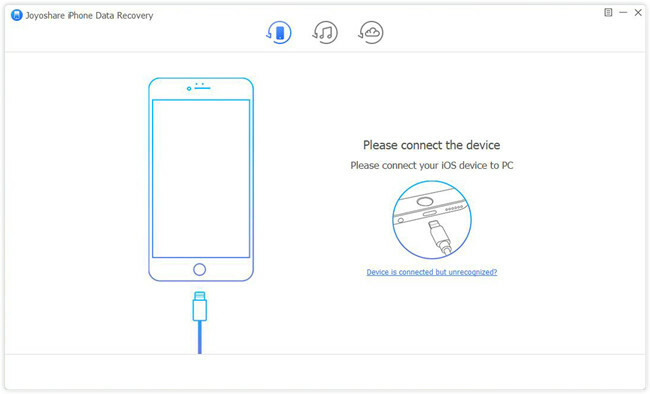 Simply get it launched on desktop and connect your iPhone 8 under "Recover from iDevice" mode as instructed. You have to "Trust" computer to finish iOS device detection and recognition. Joyoshare will display all related device info, UUID included, for your reference. On its right hand, the supported data types are checked by default. Now you are supposed to mark "Notes & Attachments" and more needed files in the way you like. Then go to press "Scan" button. Joyoshare will work in high efficiency to help find your selected iPhone 8 files. After that, you are allowed to preview scanned recoverable contents in real time. Just head to "Notes" category, choose desired items and click on "Recover" button. Everything is done! It's likely that your deleted iPhone 8 notes are backed up in the recent iTunes backups. Now pay more attention to following steps to know operation details. Step 1 Switch mode to "Recover from iTunes"
Similarly open Joyoshare iPhone Data Recovery on your desktop. This time you should change the recovery mode to "Recover from iTunes". Thus, Joyoshare can detect and show all your previous iTunes backups. It's also available to import one from local folder as per actual situation. Judge that which iCloud backup is the most relevant one that may consist of your deleted iPhone 8 notes. Choose it and tap on the "gear" icon behind it to confirm what data type you'd like to recover, such as "Notes & Attachments". Hereafter, go forward to hit "Scan" button to begin iTunes backup scanning process. Wait a moment until Joyoshare iPhone Data Recovery completes scanning iTunes backup. Tick desired notes and tap on "Recover" to export them. One more chance here to restore your iPhone 8 lost notes is to make use of iCloud backups. Let's see how Joyoshare iPhone Data Recovery performs in this aspect. Likewise, run Joyoshare iPhone Data Recovery and choose "Recover from iCloud" on the top menu bar. Enter your Apple ID and password to sign in iCloud. You will be required to type in random code sent to your device as well, during which no records will be taken. There is a list includes all your synced iCloud backups. Select the recent one and meanwhile click on "Download" button behind it. You are enabled to stop the process with only partial files downloaded. Then just choose data types as you do before and continue to click "Scan" button. It will take a while to end iCloud backup scanning progress. After that, all found contents will be classified into different categories. Preview your notes as you wish and tick whatever you want. Lastly click "Recover" button at the right bottom.